Place the cider and the sugar in a large saucepan and heat gently until the sugar dissolves. Add the roughly chopped apples to the saucepan and stir well. Add the remaining ingredients, apart from the brandy (or rum). Simmer for around 30 minutes until the mixture is soft and pulpy. Meanwhile wash the jars well and sterilise in a warm oven on 140c or gas mark 2 for 15 minutes. Remove the mincemeat from the heat and set aside to cool for 5-10 minutes. Stir in the brandy (or rum) and transfer to the sterilised jars. 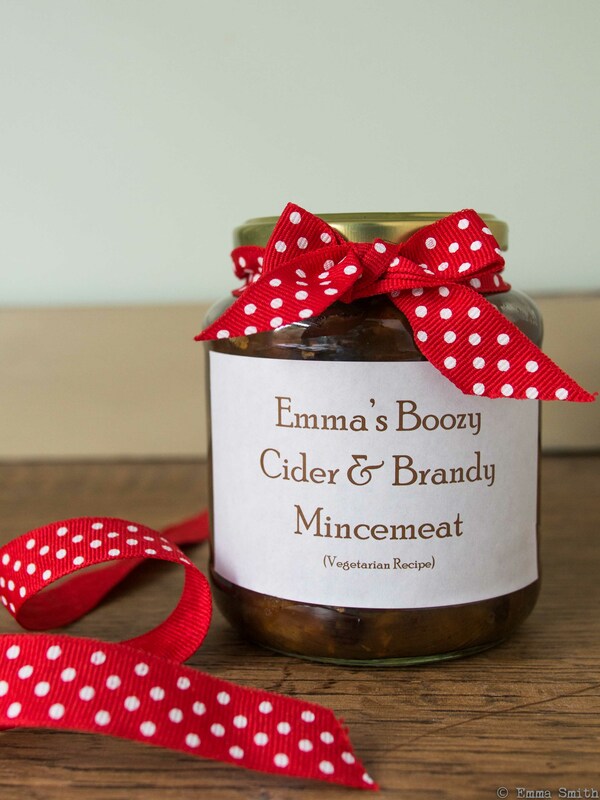 This mincemeat can be used immediately after cooking if you wish, but improves with age and keeps well. 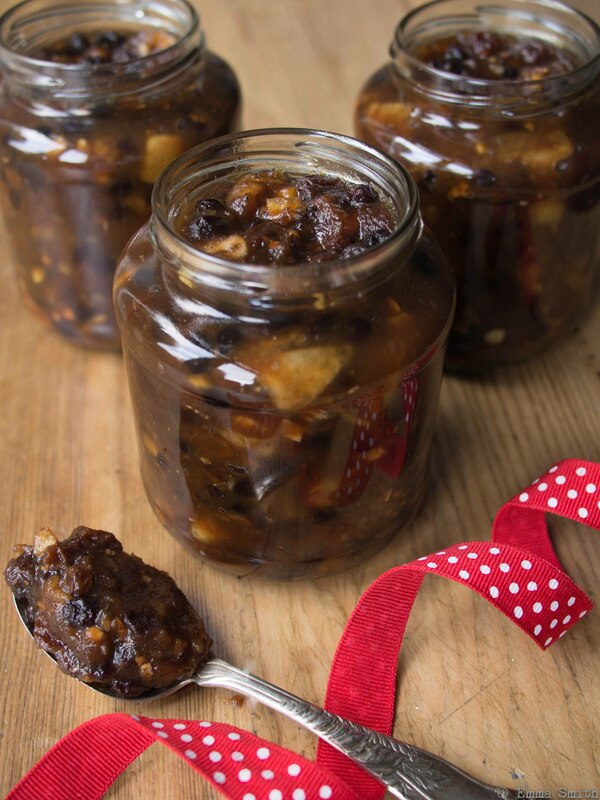 I try to keep a jar to mature for 12 months in a cool dark place and then use for my mince pies the following year.